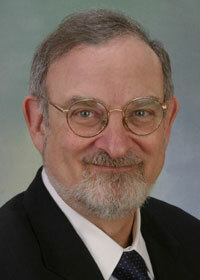 Alan J. Friedman is a consultant in museum development and science communication. For 22 years he served as Director of the New York Hall of Science, New York City's public science-technology center. Under his leadership the Hall won special recognition for encouraging new technologies, creating new models for teacher training, and serving an extraordinarily diverse audience. He is the recipient of the American Association for the Advancement of Science’s Award for Public Understanding of Science, the Association of Science-Technology Centers' Fellow Award, and the American Institute of Physics’ Gemant Award. The American Association of Museums named him to its Centennial Honor Roll in 2006. He currently serves on the National Assessment Governing Board and the Boards of the Noyce Foundation, Cornell Laboratory of Ornithology, Merck Institute for Science Education, and the Fund for the City of York. Before coming to New York Dr. Friedman worked at the Cité des Sciences et de l'Industrie, Paris, and the Lawrence Hall of Science, University of California, Berkeley. Dr. Friedman received his Ph.D. in Physics from Florida State University and his B.S. in Physics from Georgia Tech.